This pricing is for members and guests registering for the luncheon. We often associate active shooter incidents with schools, but most people aren’t aware that active shooter incidents happen at businesses twice as often. These events can dramatically impact operations, lives, and communities. While we may feel as though we have no control over this alarming trend, organizational leaders are obligated to prepare their organizations to respond if faced with such a situation. In this session, we’ll discuss how to gather, assess, and synthesize external environmental information related to active shooter incidents to ultimately guide your organization through strategic decisions that will improve the company’s competitive advantage to stay in business, should such a tragic event occur. Attendees will gain knowledge regarding best available risk management strategies regarding this topic, including avoidance, mitigation, and acceptance. Understand the definition and anatomy of active shooters. Assess organizational practices to determine if appropriate risk management strategies are in place. Create an action plan to avoid or minimize the impact of tragic incidents, including emergency drills. As Vice President, Risk Management for The Texas Group, Ryan Searles develops customized curriculum on topics ranging from Work Place Violence Prevention, Active Shooter Response Training, self-defense, OSHA, CPR, Vulnerability, Threat & Risk Assessments, Loss Prevention Consulting, and Policy and Procedure writing. Ryan has worked with numerous Fortune 100 companies, bringing almost 20 years of professional experience in security, force protection, and risk management for multiple-jurisdictional responses at local, state, regional, and national levels. He possesses a comprehensive background in complex problem-solving and relationship building derived from conducting domestic and global operations across five continents. 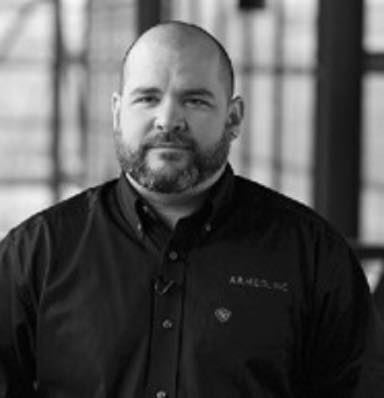 Ryan is a Certified ALERRT Instructor, and is certified to teach Medical, Civilian, and Law Enforcement Response to Active Shooter Emergencies, Firearms, and Conflict Resolution. He contributed to the development of ASIS International’s Active Shooter Response Training, which is still in use today. A recipient of multiple Purple Hearts and medals for outstanding performance and professionalism serving in the U.S. Army, Ryan remains personally driven to protect others.